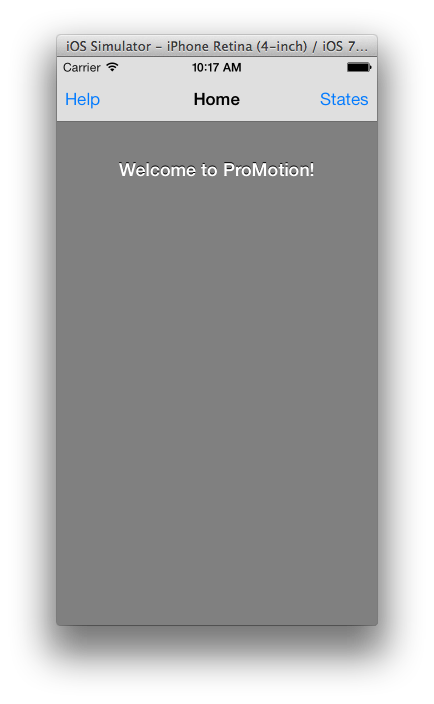 PM::Screen is the primary object in ProMotion and a subclass of UIViewController. It adds some abstraction to make your life easier while still allowing the full power of a UIViewController. tab_bar_item item: "home-screen-tab", title: "Home"
All lifecycle methods are optional, but provide hooks for you to do certain tasks. These usually coincide with Cocoa Touch lifecycle methods but have slightly different semantics. In ProMotion, will_* methods usually fire before an action, and on_* methods fire just after. Fires only once, after the screen has been instantiated and all provided properties set. A good place to do further initialization of instance variables or set your tab bar icon. @my_car = "Dude, where's my car?" Primarily used for setting up reusable PM::Screen subclasses, such as PM::WebScreen. Not recommended for normal app screens. But if you are building a subclass for a gem, this is where you would do your additional setup. Used for creating your screen's root view. If you don't implement this method or if you do and you fail to create a view, ProMotion will create a blank one for you. Only fires when the view property is accessed for the first time. Fires once, when the root view of the screen is accessed for the first time. This is where you normally add and style your subviews. Keep in mind this method doesn't necessarily fire right away. For example, if you're creating a tab bar with four screens, the three screens that are not active will not fire on_load until you tap their tab. That's because the view isn't accessed until that moment. Runs just before the screen appears. Often used to ensure the right information is displayed. Runs just before the screen is pushed onto the navigation controller. Usually fires immediately after will_appear, but only if it is the first time that the screen is added to the navigation controller. Not used all that often, but can be useful in some cases. Runs just after the screen has appeared and stopped animating. Sometimes used to kick off other animations or start playing a video. Runs just after the screen is pushed onto the navigation controller. Usually fires just after on_appear, but only when the screen is first added to the navigation controller. Runs just before the screen disappears from the screen. An example usage would be to stop a video from playing. 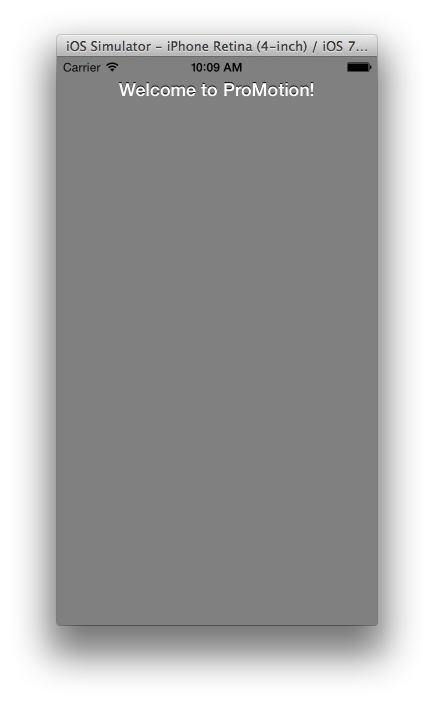 Runs just before the screen is removed from its parent. Usually happens when getting popped off a navigation controller stack. Fires right after will_disappear. Runs just after the screen is removed from its parent. (iOS 6+) return true/false if screen should autorotate. Defaults to true. 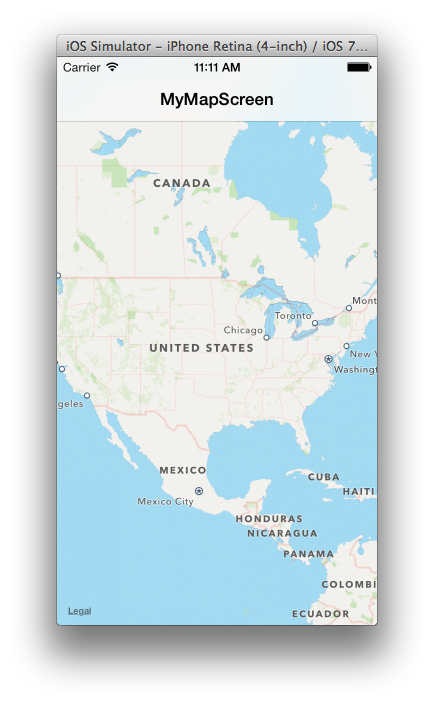 (iOS 5) Return true/false for rotation to orientation. Tries to resolve this automatically from your UISupportedInterfaceOrientations setting. You normally do not override this method. Runs just before the device is rotated. Runs just after the device is rotated. 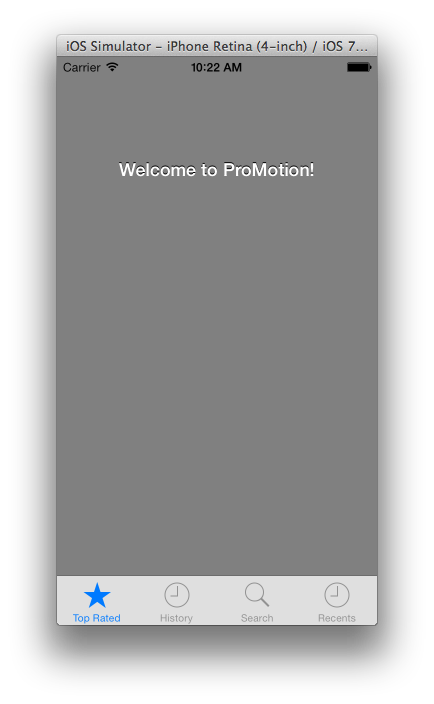 Returns if the screen was opened in a modal window. Returns if the screen is currently contained in a navigation controller. Runs just before the screen rotates. 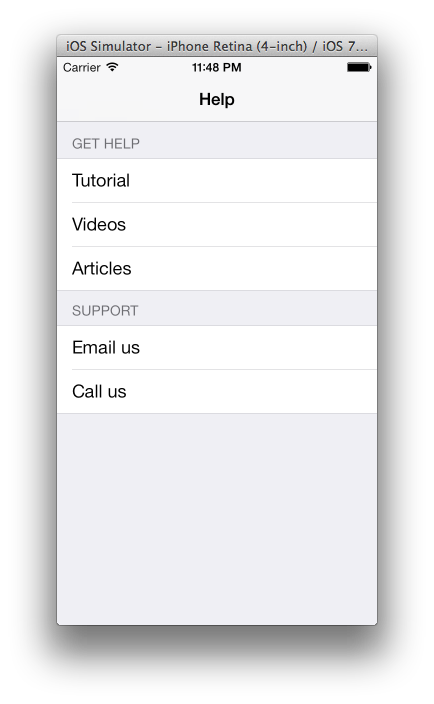 Set a nav bar button. args can be image:, title:, system_item:, button:, custom_view:. You can also set arbitrary attributes in the hash and they'll be applied to the button. The code above will add a "cancel" back button to MyScreenChild when it is opened as a descendant of MyScreen. Uses an array to set the navigation controllers toolbar items and shows the toolbar. Uses the same hash formatted parameters as set_nav_bar_button. When calling this method, the toolbar will automatically be shown (even if the screen was created without a toolbar). Use the animated parameter to specify if the toolbar showing should be animated or not. 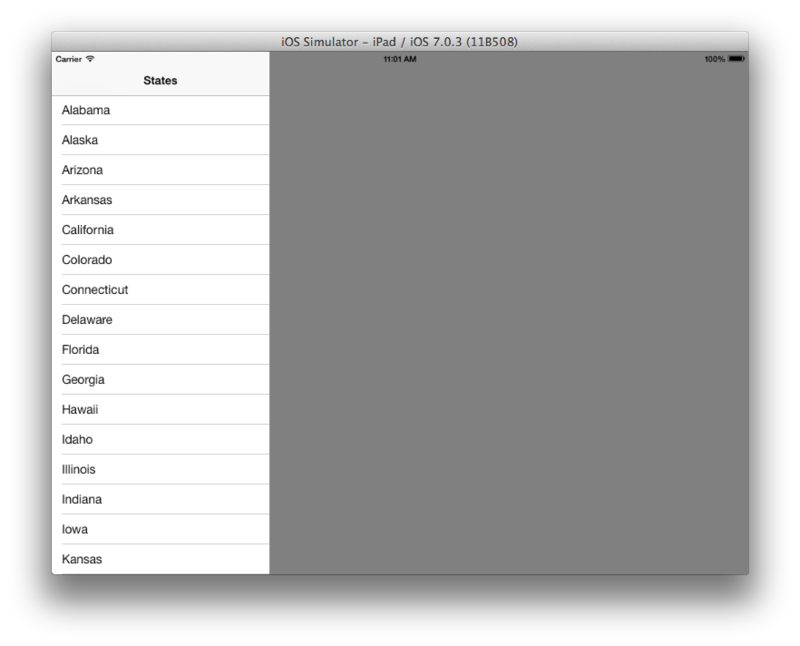 You can also pass your own initialized UIBarButtonItem as part of the array (instead of a hash object). EDGE FEATURE: You can pass tint_color with a UIColor to change the tint color of the button item. Returns title of current screen. Sets the text title of current screen instance. Note that you must declare self as the receiver. Closes the current screen, passes args back to the previous screen's on_return method (if it exists). Closes all other open screens and opens screen as the root view controller. Opens a screen, intelligently determining the context. # `modal: true` is the same as `open_modal`. Any writable attribute (accessor, setter methods etc.) in screen can also be set in the new hash argument. Returns whether UISupportedInterfaceOrientations includes the given orientation. Returns the value for UISupportedInterfaceOrientations. 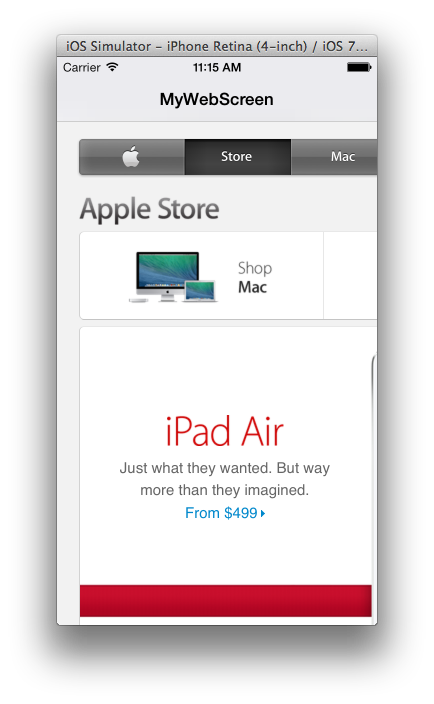 Returns either :iphone or :ipad. Should probably be named current_device_family or something. 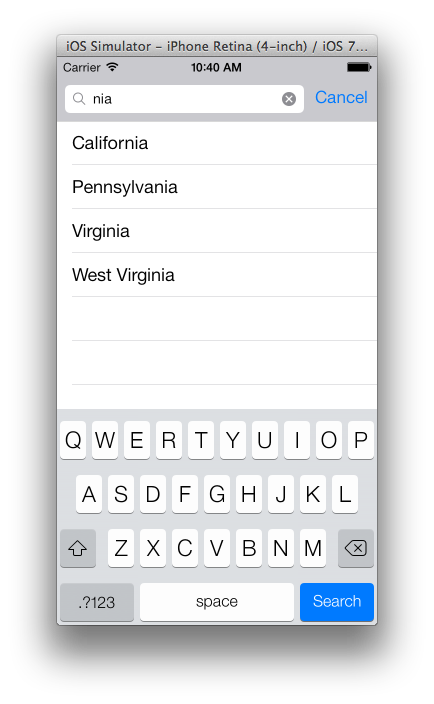 Boolean representing if this is the first screen in a navigation controller stack. Sets the default text title for all of the instances of this screen. Sets an arbitrary view as the nav bar title. Sets an arbitrary image as the nav bar title. Set the properties of the applications' status bar. Options for style are: :none, :light and :default. The animation argument should be a UIStatusBarAnimation (or :none / :fade / :slide) and is used to hide or show the status bar when appropriate and defaults to :slide. References the screen immediately before this one in a navigation controller or the presenting screen for modals. You should set this yourself if you're doing something funky like addChildViewController. The main view for this screen.